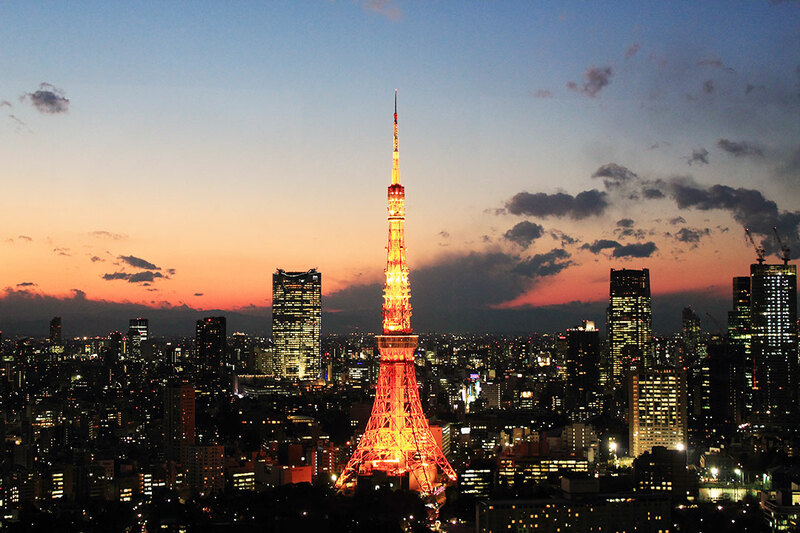 Inspired by the Eiffel Tower, the Tokyo Tower is situated in the Shiba-kōen zone in Minato, Tokyo. Built in 1958 as a symbol of economic rebirth, with its 333 meters it has a double function. It is in fact a tower for telecommunication and scenic landmark! Completely built in steel there are two observatory that will let you have one of the best views in the world. At the first floor, situated at 150 meters from the ground, there’s the main observatory offering you a scenic view on the city. 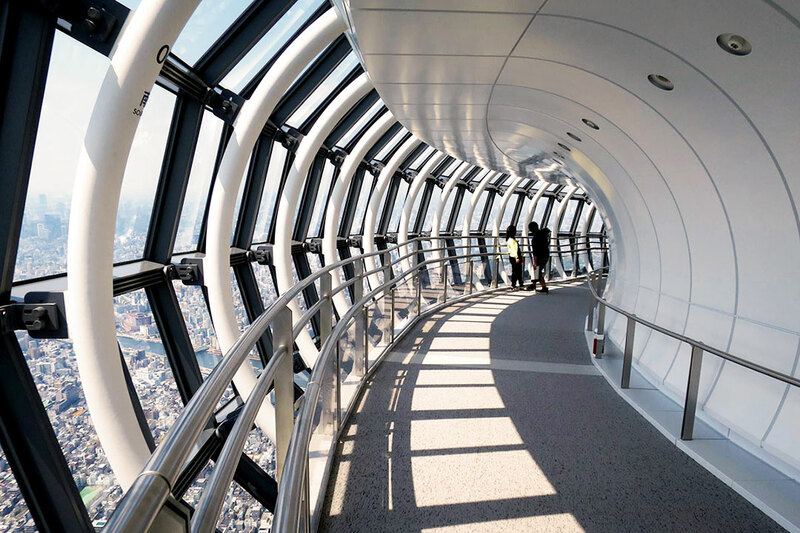 At 250 meters there’s another special observatory that will allow you to see the Tokyo Sky Tree and up till mount Fuji. Obviously the Tokyo Tower is not just this. Inside there is a souvenir store, a very elegant bar and a stage where every week you can enjoy musical events. Even the younger ones can enjoy shows during holidays also thanks to “Noppon”, the Tokyo Tower mascottes. At its feet there’s the Highball Garden Rooftop Genghis Khan: a terrace bar opened between March and September that serves specialties and exclusive cocktails. 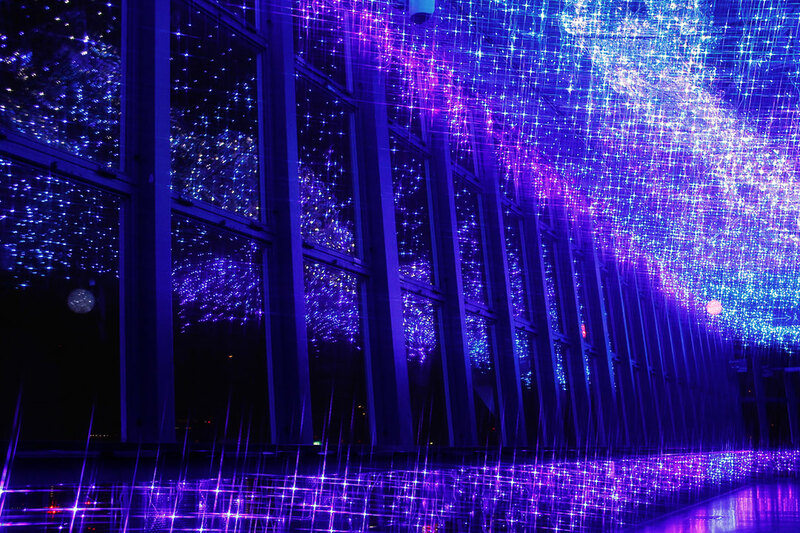 From June 1st and August 31st there’s a very peculiar and fascinating event called “Milky Way Illumination”. The stairs that go from the ground up to the observatory are enlightened with blu lights. On the roof a lot of starts will appear and it will make you feel as if you are in space. Furthermore, during the full moon nights, the Tokyo Tower lights up in a pink shade! 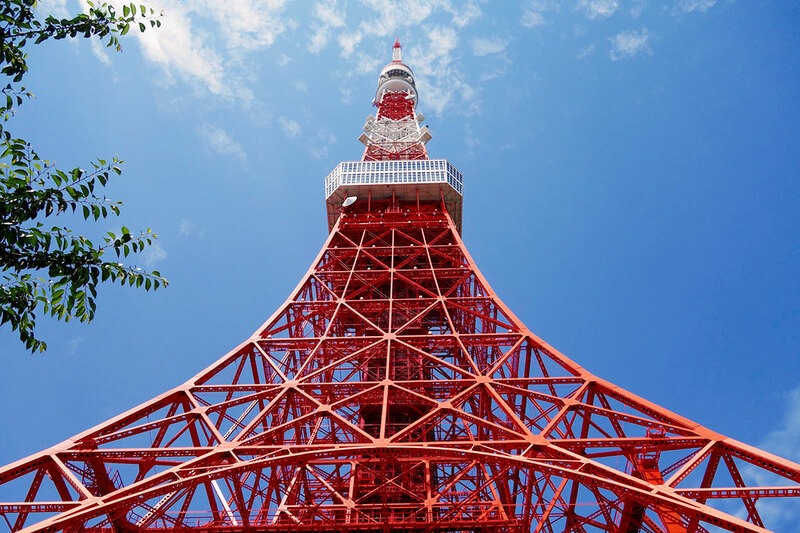 Even today, the Tokyo Tower serves the purpose it was built for. Thanks to the antenna on top, it takes care of the transmission of the signal for the main Japanese TV networks. More recent than the Tokyo Tower is the Tokyo Sky Tree. 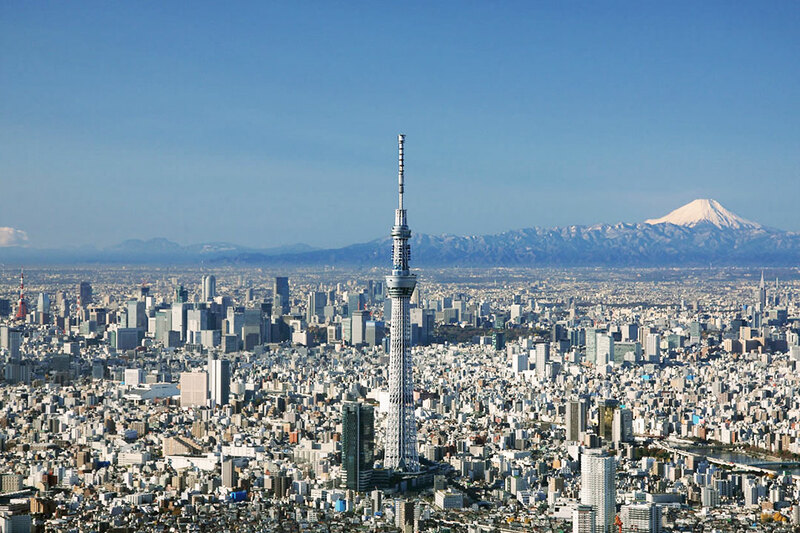 Symbol of Tokyo architecture with it’s shapes that reminds us of the ancient temples of the Heian era, it fills the sky with its 634 meters of height. A number that is not casual: the signs mu (6), sa (3), shi (4) they form the word “Musashi”, ancient name of the region where the Tokyo Sky Tree is. This is the highest telecommunication in the world, with one of the most beautiful sceneries thanks to the Solakara Point. Here the floor and the glass walls gift the feeling of belonging to the sky. 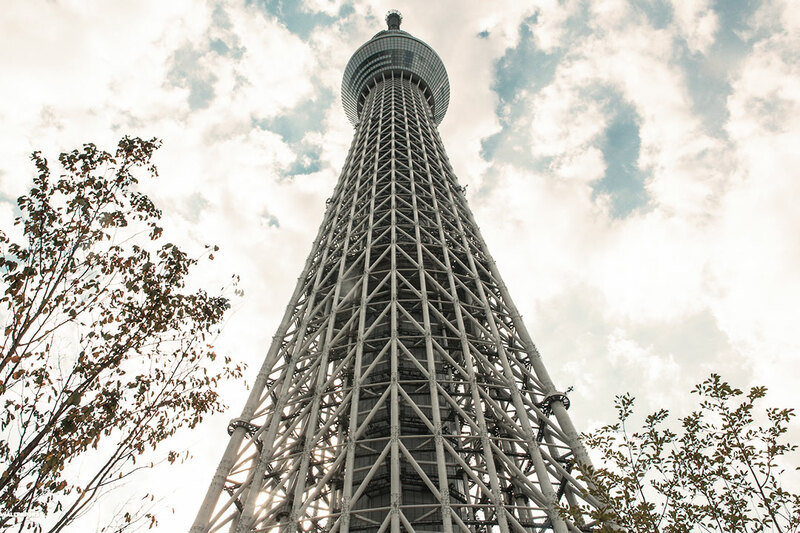 The Tokyo Sky Tree mixes modern and ancient times. From the fourth floor of the tower you can see the SUPER CRAFT TREE where the designer Yukio Hashimoto showcased his creations. The artist mixes the modern techniques with the Edo period craftsmanship. A proof of this is the TEMBO SHUTTLE, the lift with crafted panels that represent the miyakadori (the bird symbol of Tokyo), Sakura trees and the Sumidagawa river. As custom in Tokyo, also the Sky Tree has its own mascotte, the Sorakara-chan (daughter of the Sky). Naturally, the main function of the tower is the distribution of the radio and tv signal at a regional leve.